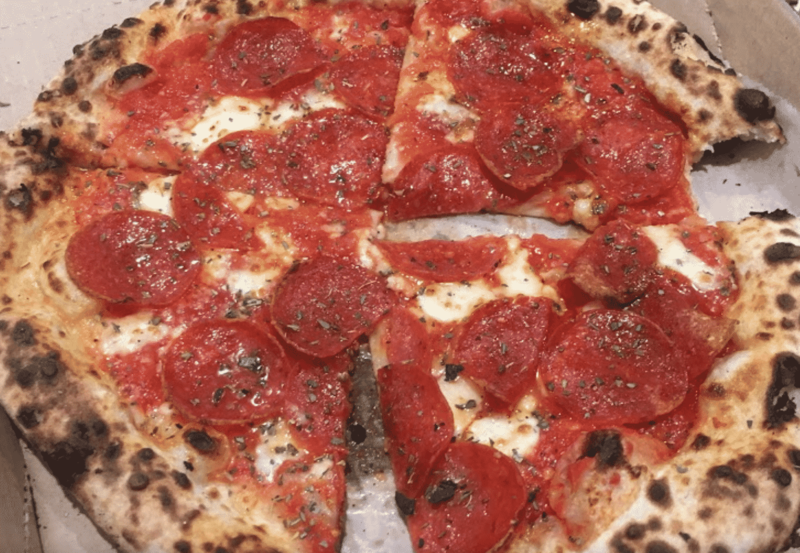 Nothing beats a perfectly charred pizza, and it’s one of the ol’ reliable dishes that people seek out when arriving in a new city. 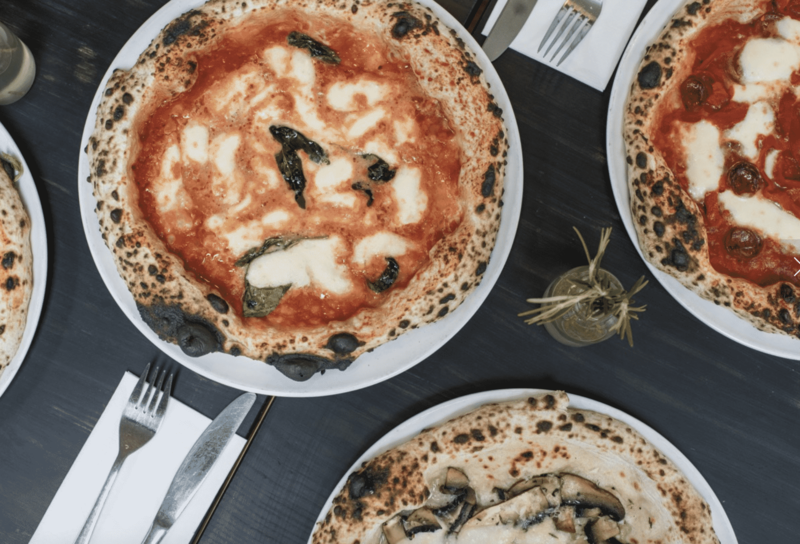 With the summer holidays ahead and people travelling across the continent, we decided to round up the best of the best when it comes to pizzas in Europe. 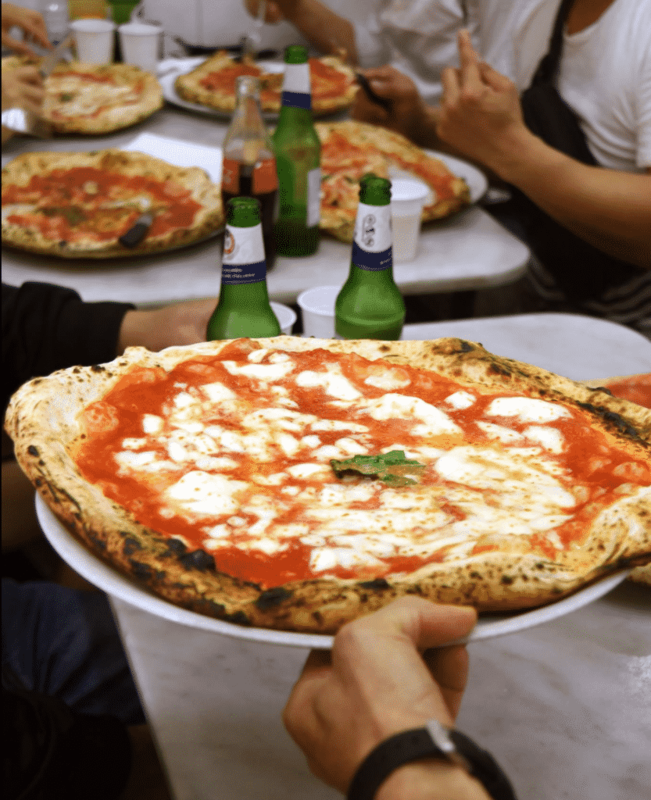 Think of it as a delicious DIY InterRail tour, but with heaps of mozzarella and chewy crusts. Oh, and views of big pizza pies. 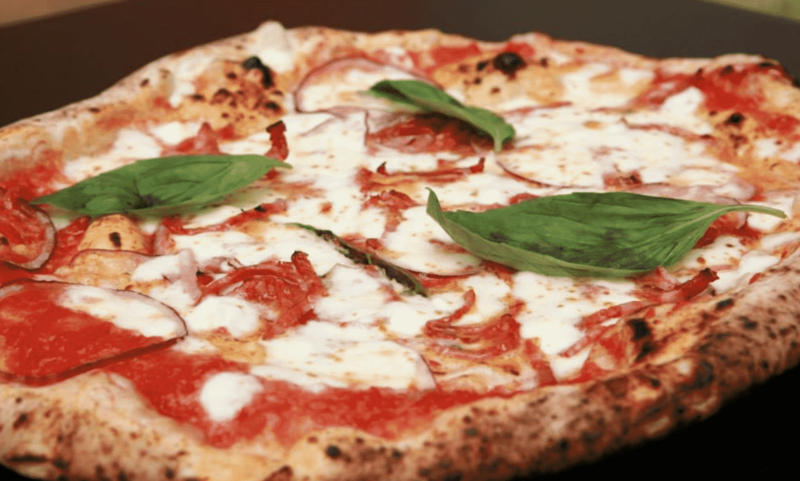 The final list is subjective – if we’ve missed out on any must-try pizza places across the EU, please do let us know! A wonderful selection of original pizzas with something on the menu for everybody. The Tartuffo with truffle oil is a must try and the even better news is that by Paris standards the prices are seriously affordable. Check out the most Instagrammable spots in Paris. 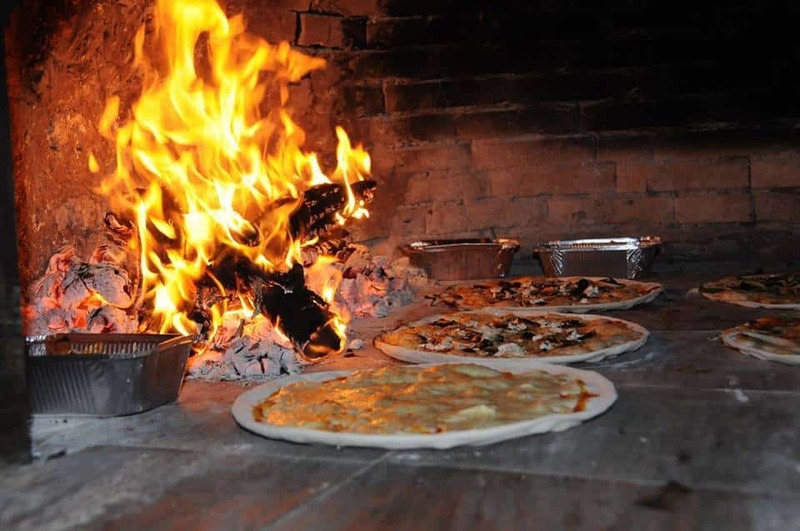 Proper wood fired pizzas served in a relaxed atmosphere by super friendly staff. 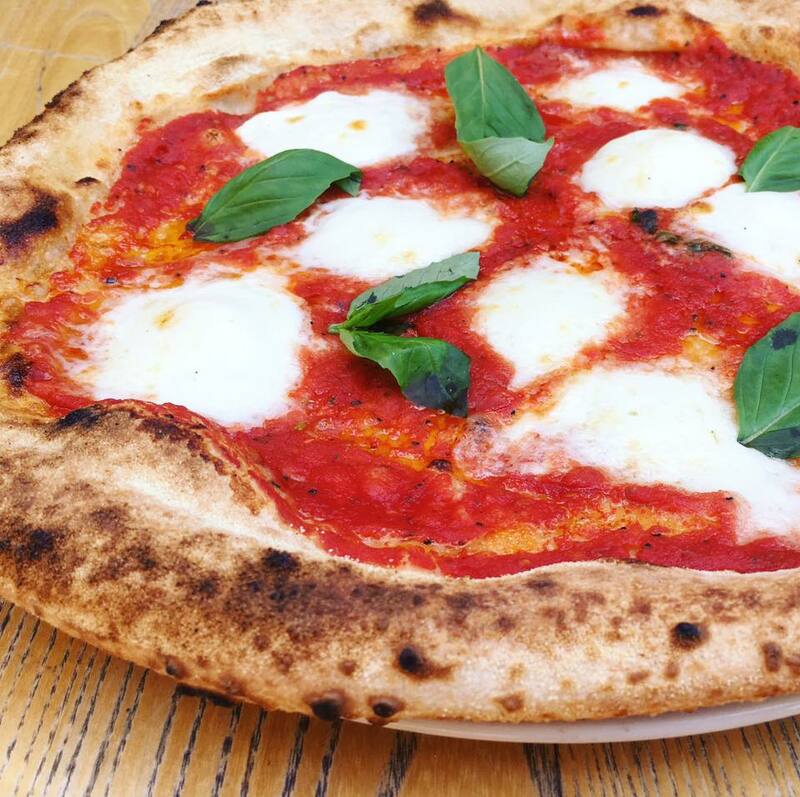 Sitting outside in summer on the terrace with one of these pizzas is one of the great pleasures in life. Meet Point Pizza Bar is a great place to come and hang out with friends. Not only are their pizzas massive and super tasty, their cocktails and desserts are also not to be missed. Check out the most Instagrammable spots in Riga. 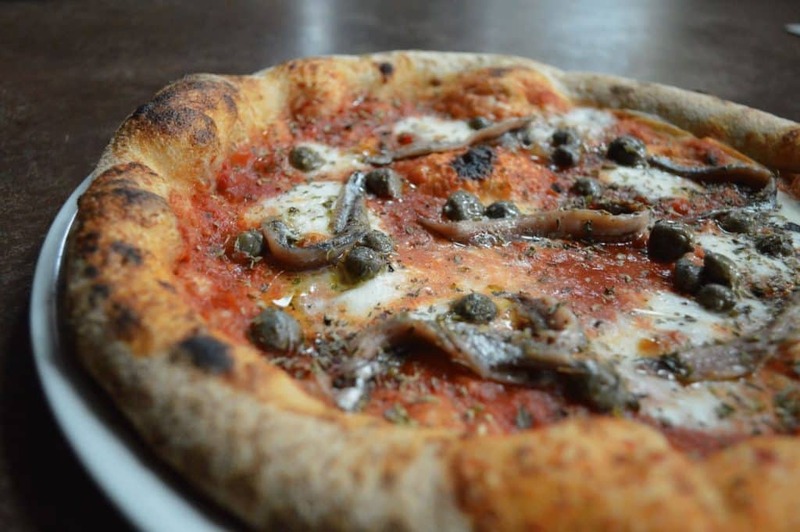 A proper old school Italian restaurant that’s loved for its entire menu, not just the pizzas. If you are lucky enough to get a seat on their beautiful shaded terrace (book ahead! 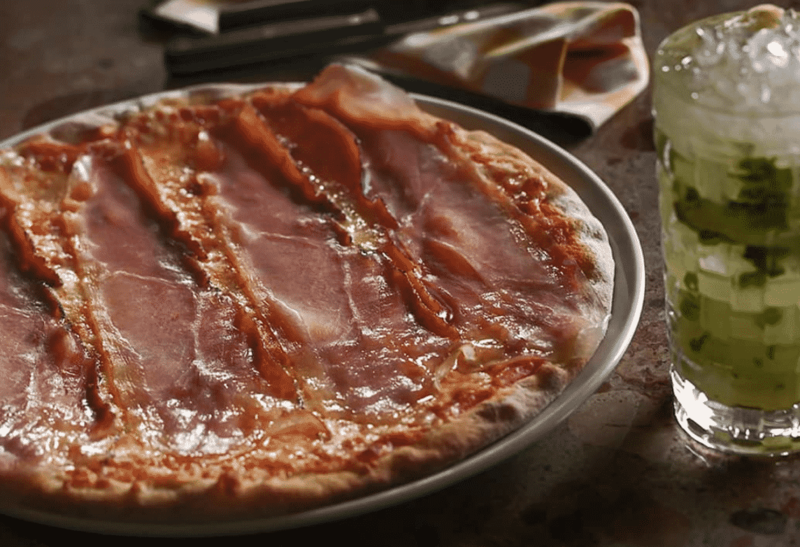 ), order one of their pizzas for a few slices of pure heaven. They focus on a Roman background on everything they do, including their Lazio-style square pizza slices. 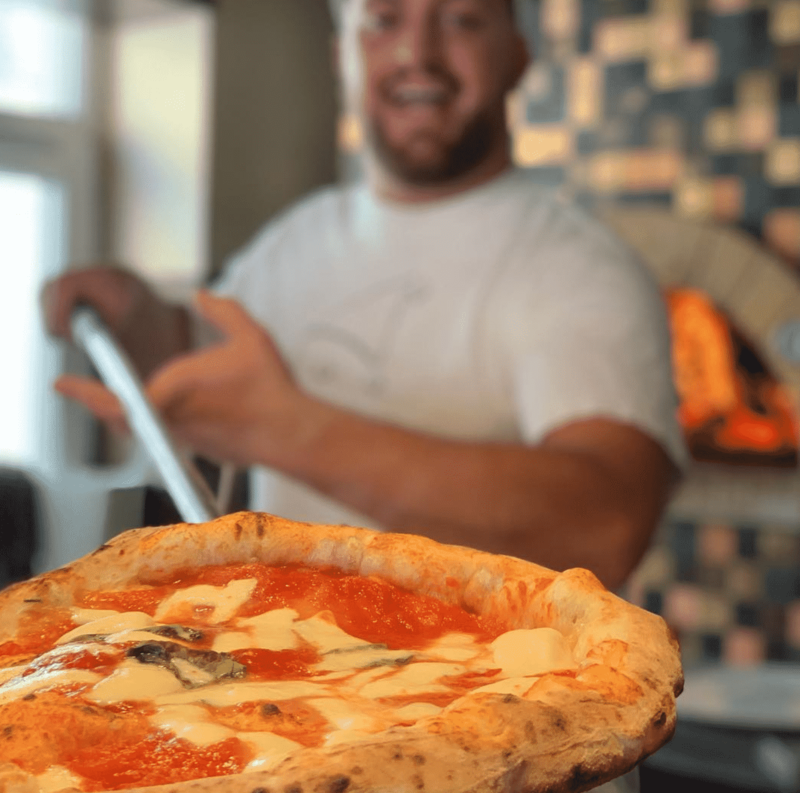 The chefs put huge amounts of passion and drive into creating seriously good pizza that is made for sharing. 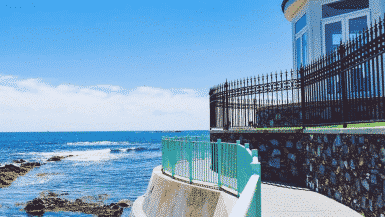 Check out the most Instagrammable spots in Malta. Thin and crispy pizza where they are super generous with the toppings. Throw in really good cocktails and this is the perfect place to start a night out. Check out the most Instagrammable spots in Lisbon. 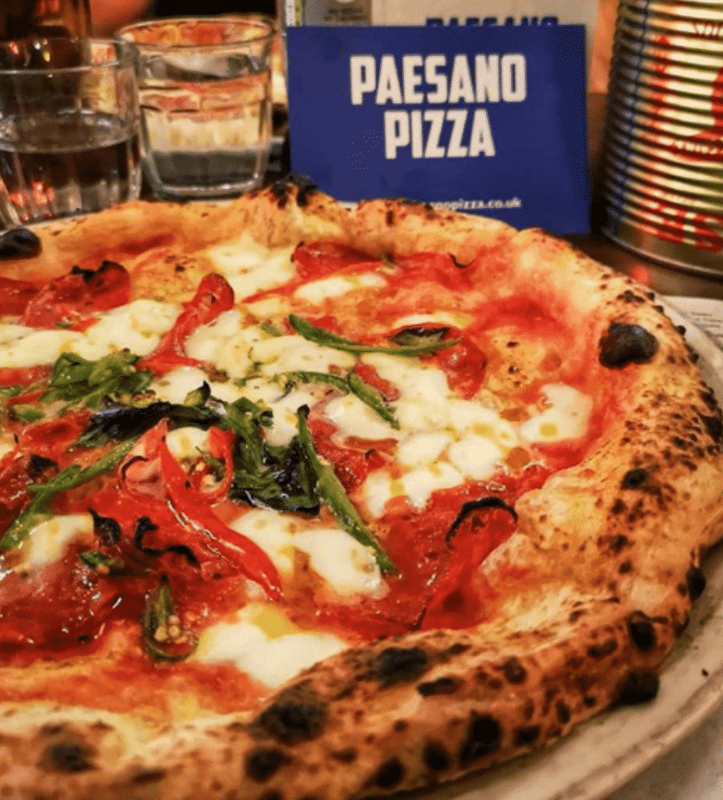 They open for breakfast, lunch and dinner, so if you could manage to eat a pizza for each meal that’s what we suggest you do. They’re just that good. 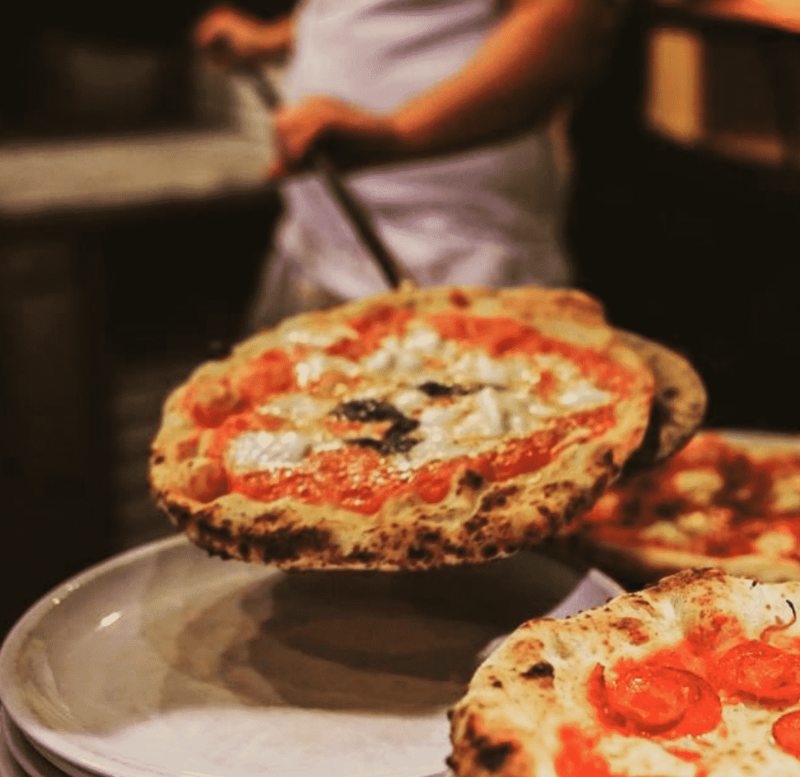 Huge passion as well as wonderful raw ingredients goes into every single pizza they produce. Check out the most Instagrammable spots in Lithuania. 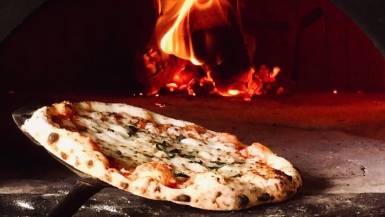 Proper wood fired pizza served up by some of the most passionate and friendly staff in the business. 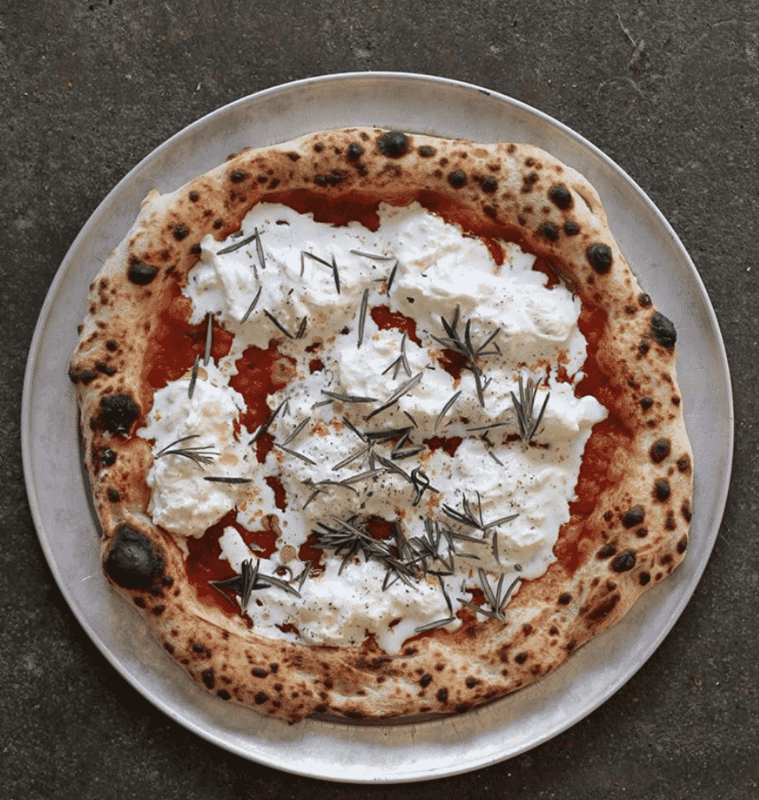 Their own pizza suggestions (including daily specials) are divine or you could make your own from scratch. Check out the most Instagrammable spots in Greece. 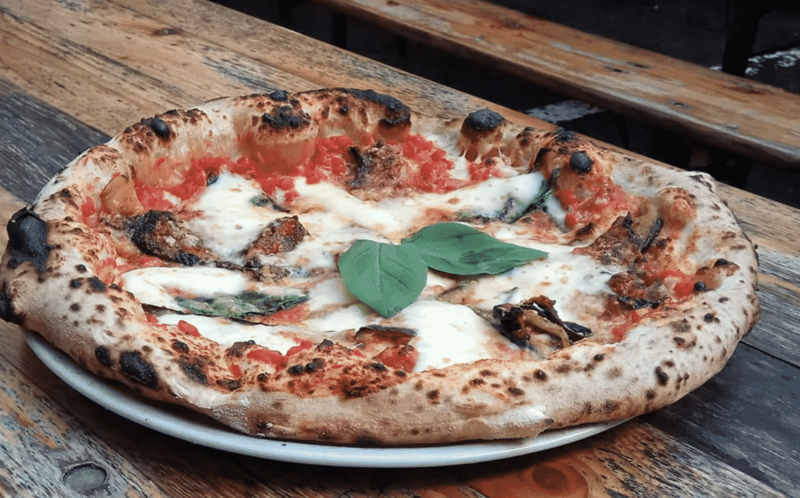 Not only do they cook one of the best pizzas in Europe but they are also vegan friendly, as well as getting extra bonus points for allowing you to bring your dog along. Check out the most Instagrammable spots in Helsinki. 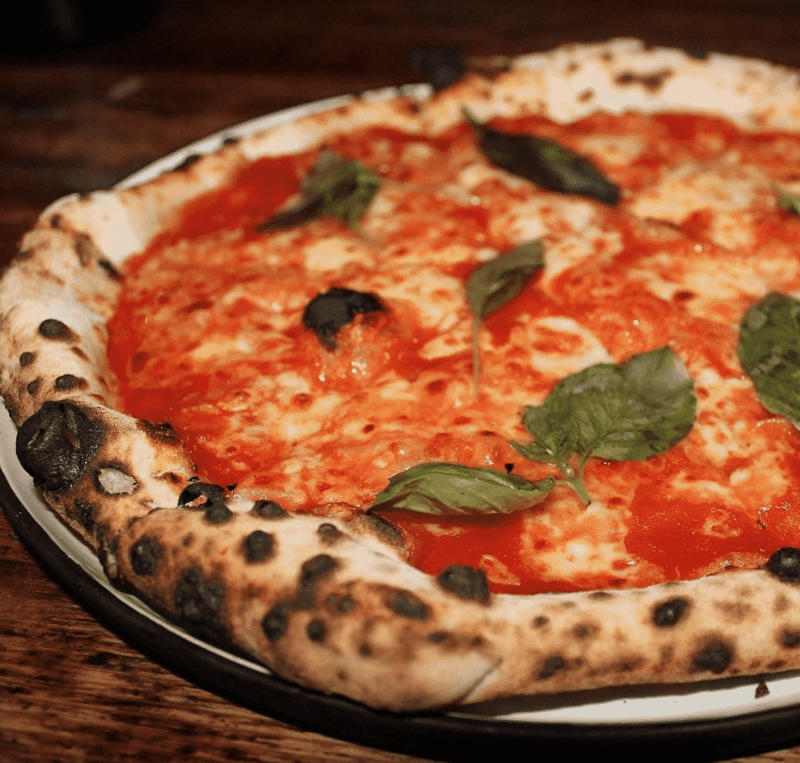 This is proper Neapolitan style pizza served up in chilled surroundings. Especially enjoyable in the summer time when served outdoors in the sunshine. One of life’s great pleasures is tucking into those pillowy crusts. Check out the most Instagrammable spots in Berlin. 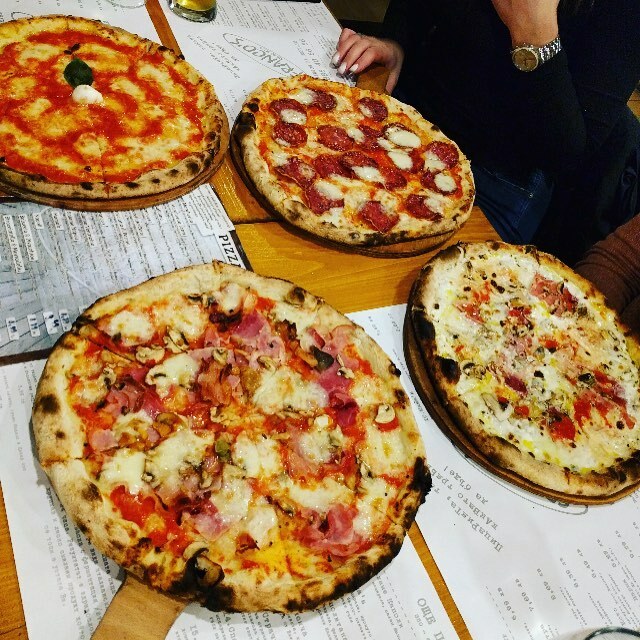 Wonderfully original pizzas (lookout for their super inventive specials) served alongside some of the best cocktails in the city. A winning combination. When in the country check out the most Instagrammable spots in Zagreb. 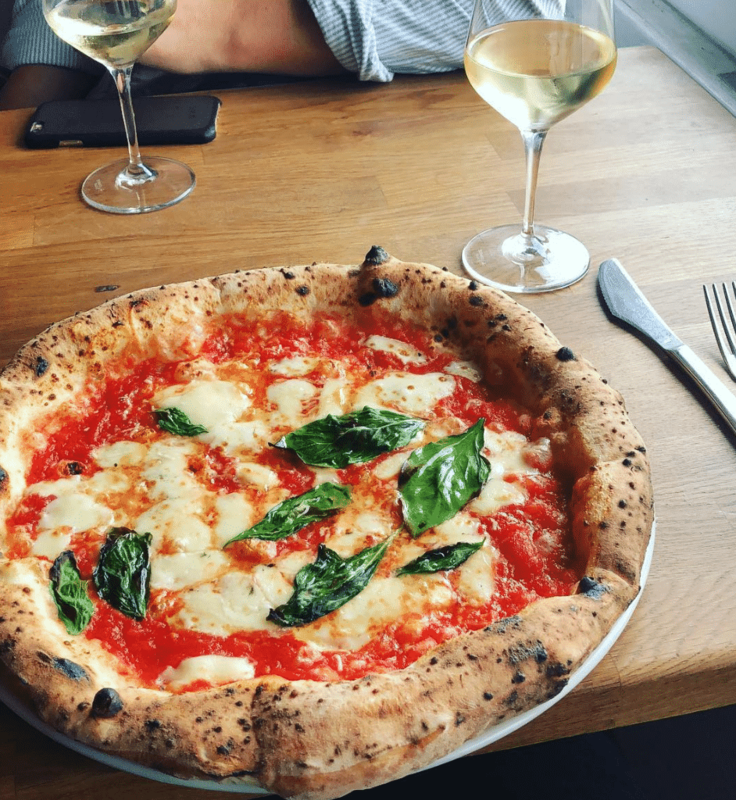 The room itself here is simple and stripped back, which is good because it allows the pizza and great wine list to do all the talking. World class cooking in the heart of Vienna. 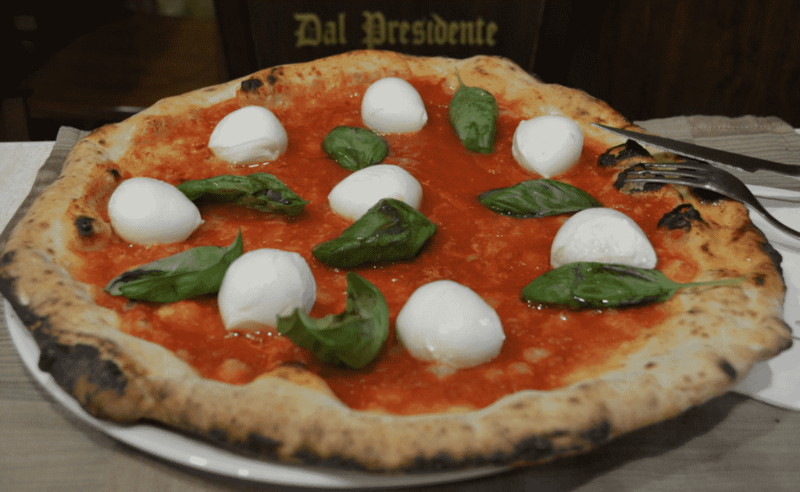 After 15 years, Da Paolo, with its high ceilings, exposed brick walls, traditional red checked table clothes and of course its traditional wood-pizza-oven, is still going strong. Their pizzas are thin, crispy and totally delicious. 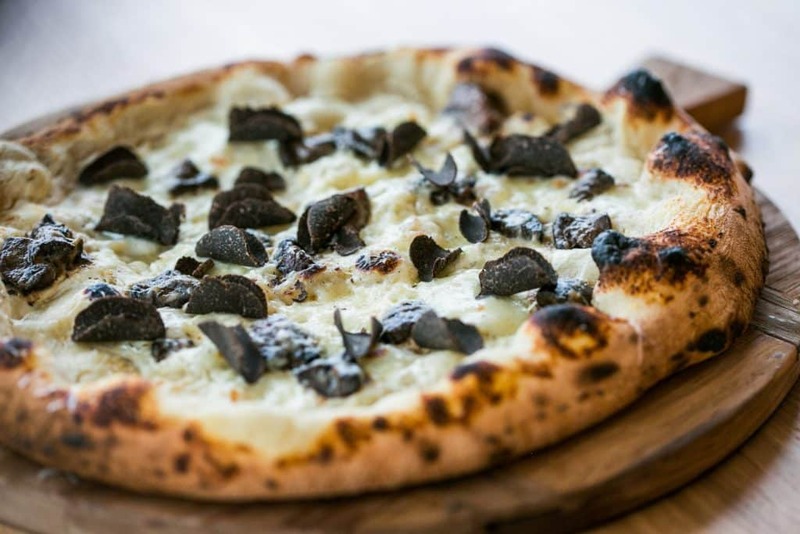 Have a walk down the beach to get your appetite up and then stroll into this seaside spot for an amazingly good pizza – we love their black truffle special. 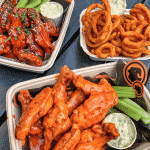 If you’re super hungry order a portion of their delicious wings to start you off. Check out the most Instagrammable spots in Tallinn. 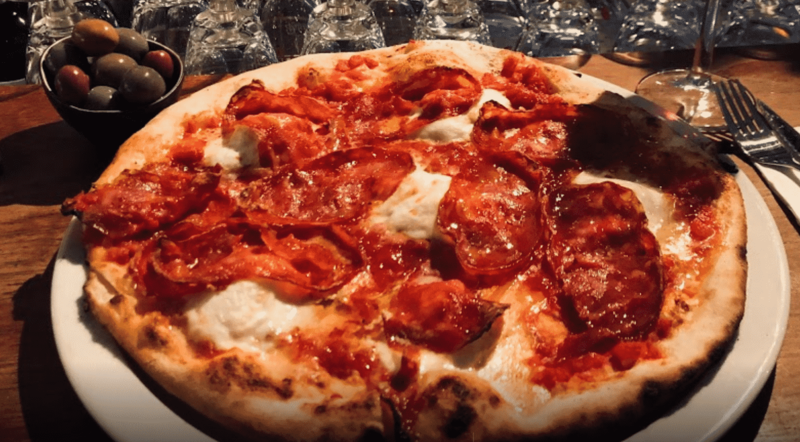 Their pizzas are classic in style and when you add in some of their home cured meats as a topping you are left with something that will literally melt in your mouth. Check out the most Instagrammable spots in Budapest. Artisanal pizza made with living sourdough that they call “slow food pizza”. That means a huge focus on the raw ingredients, which gives a stunning end result. You can taste the exceptional quality in every mouthful. Check out the most Instagrammable spots in Bruges. 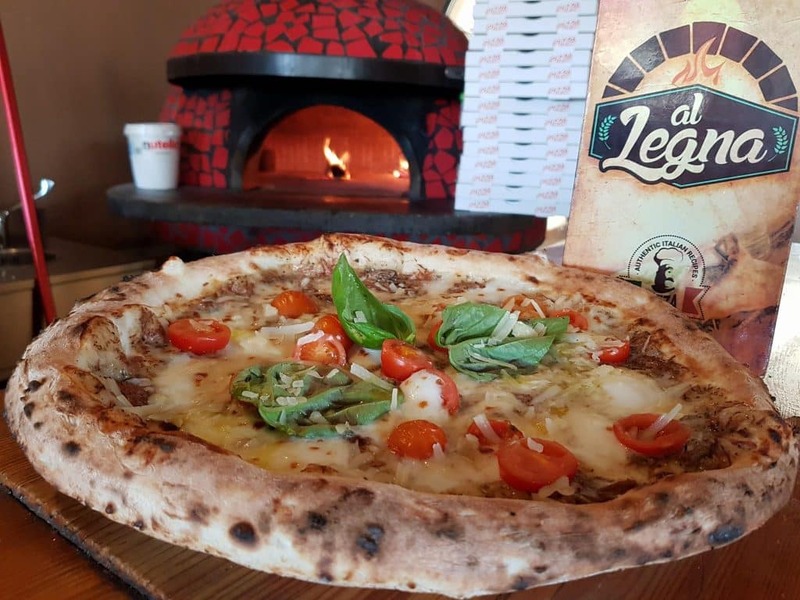 You’ll find Al Legna in the Sensi Hotel, which means that you can sit by the pool and order your pizza – chowing down the pies in peace by the water. Throw in a beer or even one of their cocktails for an extra treat. 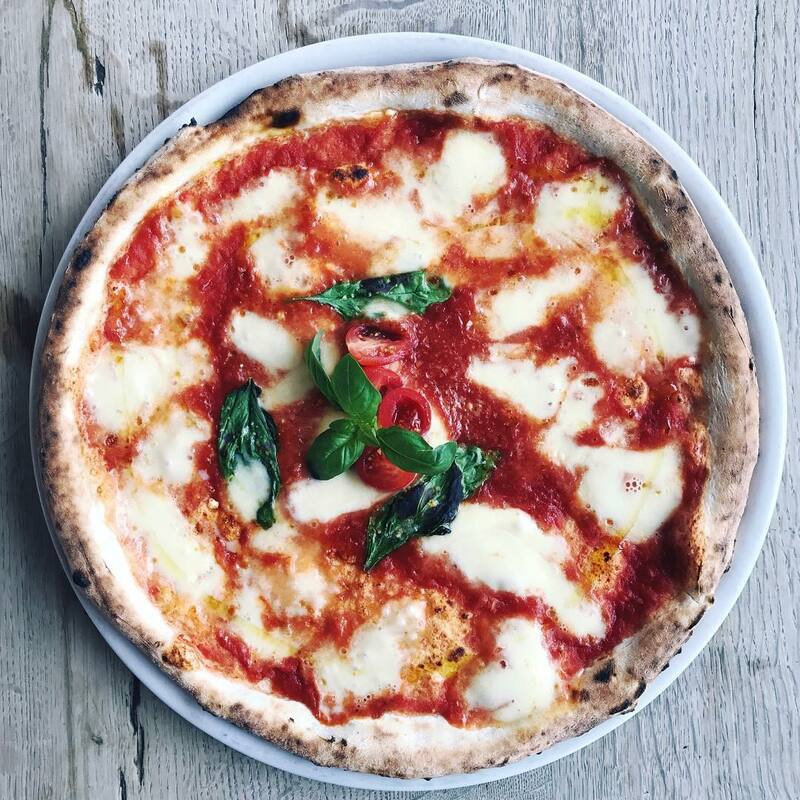 Ave Pizza focus on a traditional Neapolitan pizza and import all their ingredients from Italy to ensure the very best results. 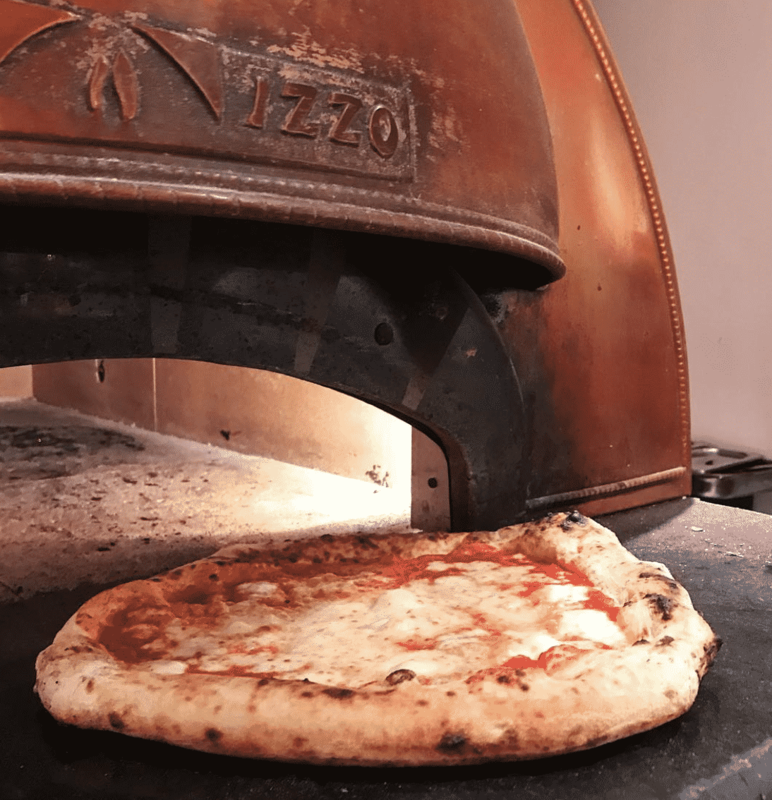 To ensure the perfect results they prove their dough for 72 hours and cook the pizza in less than two minutes, at 450 degrees. When first walking into this simple restaurant ,you’d have no idea that you were about to get a pizza of such tremendous quality. Oozing with flavour and served by passionate and friendly staff who make this a wonderful foodie experience. Check out the most Instagrammable spots in Barcelona. 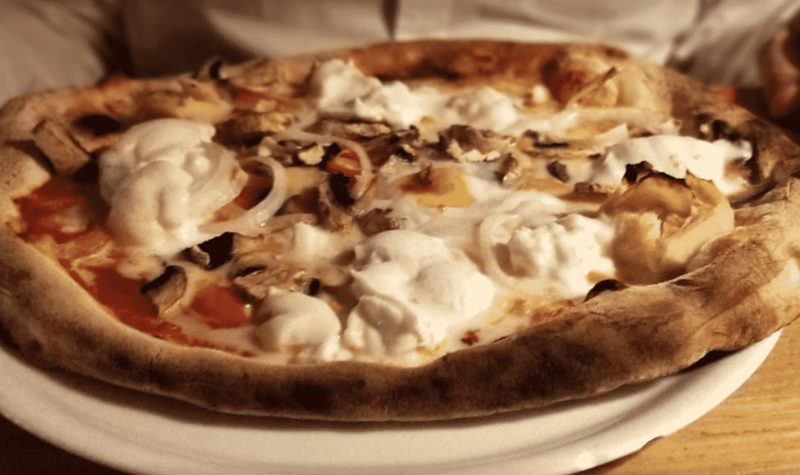 A home of great Italian food including pastas and a wonderful steak but it is the pizza that is the star of the show. Their big fluffy crusts are full of air and wonderfully crunchy and chewy at the same time. Check out the most Instagrammable spots in Slovakia. 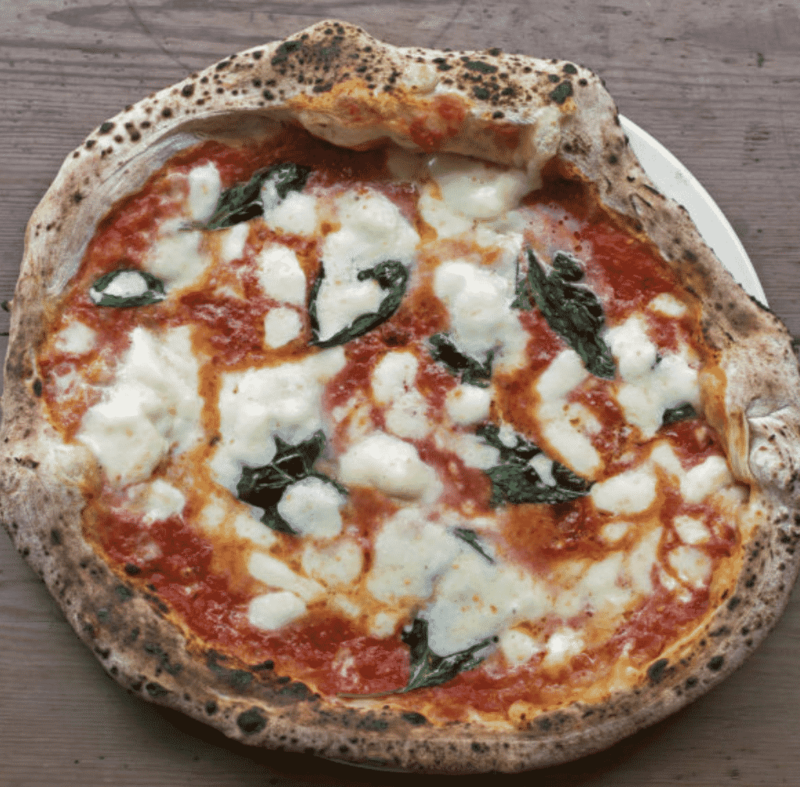 Their pizza is “a thin base with a puffed-up pillowy edge, blistered from the intense heat of the wood-fired oven. The centre remains a little soft. 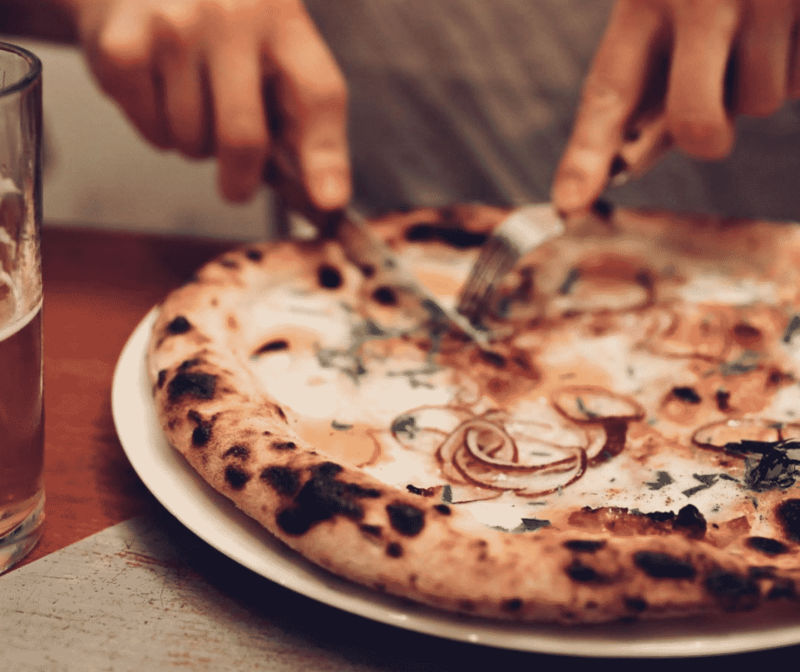 The Neapolitan way of eating a slice into fold or roll it”. For an added bonus try their vegetable antipasti to start, you won’t regret it. Check out the most Instagrammable spots in Copenhagen. 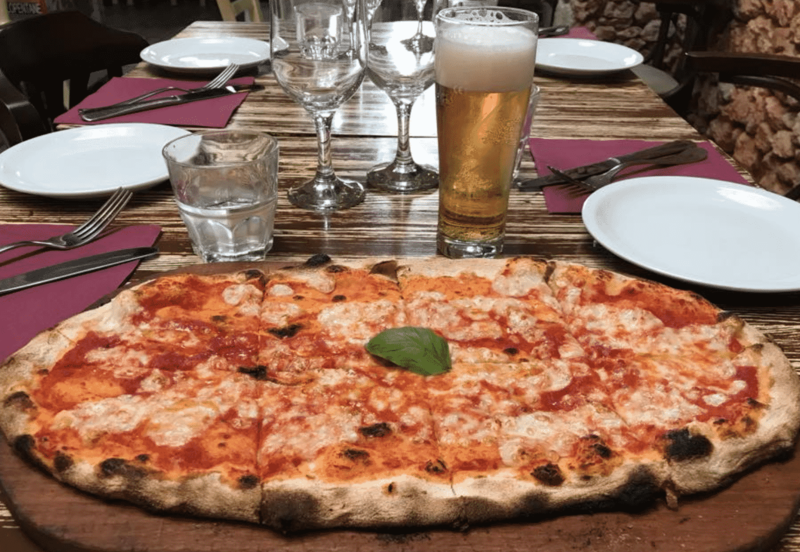 A multi-award winning spot that’s always in the news as being one of the very best pizza spots, not just in Milan but in the entire country. It’s always busy so get in early to secure a table. Check out the most Instagrammable spots in Milan. Great pasta, seafood and desserts to die for but if you are coming here and not having a pizza you’ll be missing out. Along with great food they also have some of the very best service in the city. Check out the most Instagrammable spots in Warsaw. 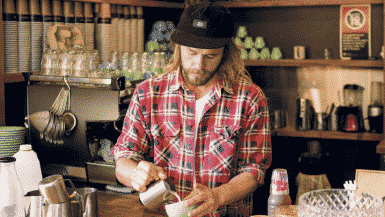 Blink when walking past and you would miss this restaurant – it’s inside a converted garage. Inside you’ll find some of the most modern, progressive cooking in Barcelona and a pizza that gets better every single time you try it. A modern room based on pop art, with one of the best ovens you’ll ever see (it looks like a giant emoji). 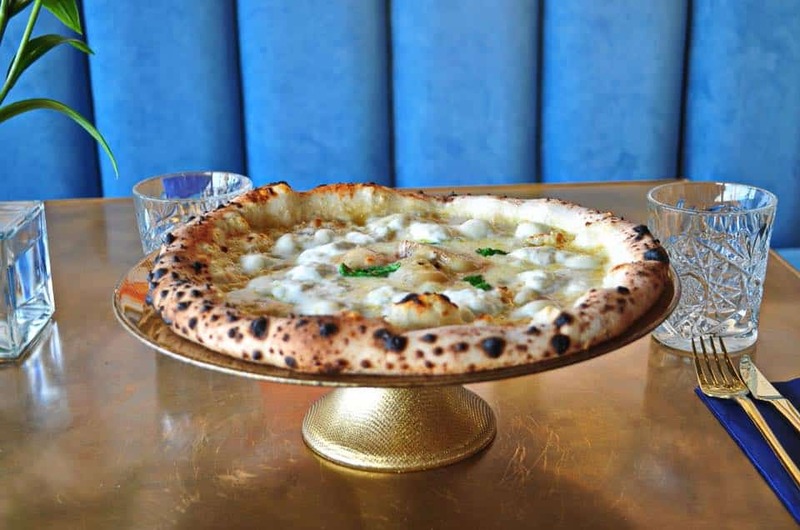 Despite all the jazzy design touches rest assured that the pizza is right up there with the very best in Europe. 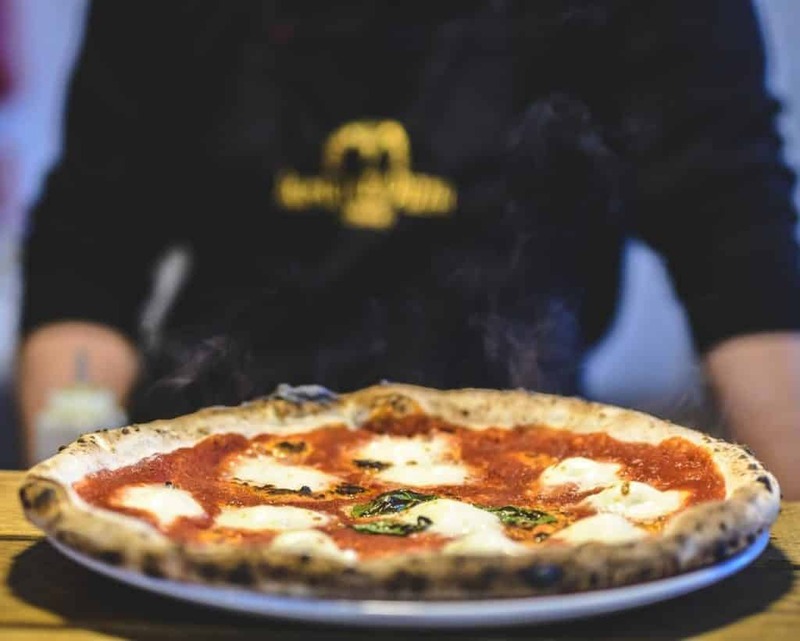 They stick to the very best by creating a Neapolitan pizza of pure, natural taste with Italian San Marzano tomatoes, buffalo mozzarella and extra virgin olive oil. 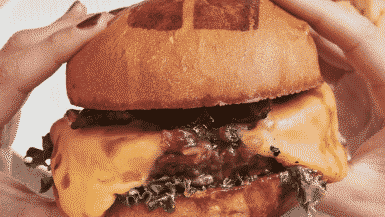 Why complicate things when a dish is this perfect? A textbook perfect pizza. Check out the most Instagrammable spots in Prague. There is something about the South of France and Nice in particular that will put you in holiday mode and want to eat great food. Many people say this is one of the best pizzas they’ve ever eaten and that’s a statement that is very hard to argue with. Check out the most Instagrammable spots in Nice. 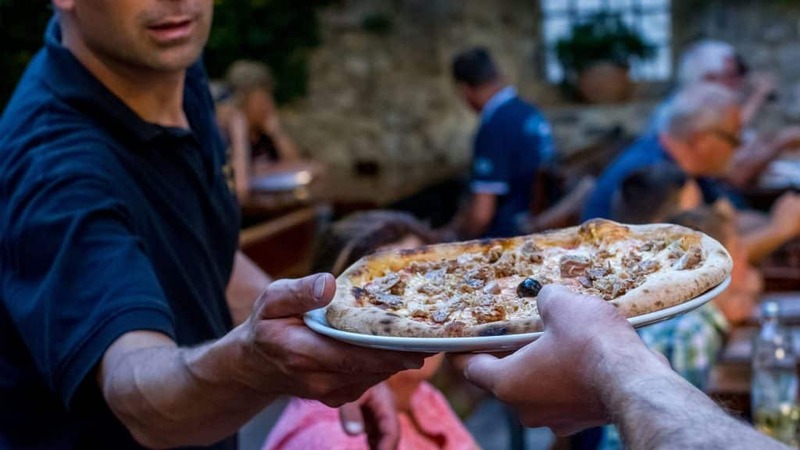 They are located in the very heart of Biograd, in a stone courtyard of an old Dalmatian house where you can relax in the deep shade of centuries-old trees and eat some of the very best pizza you are ever likely to taste. 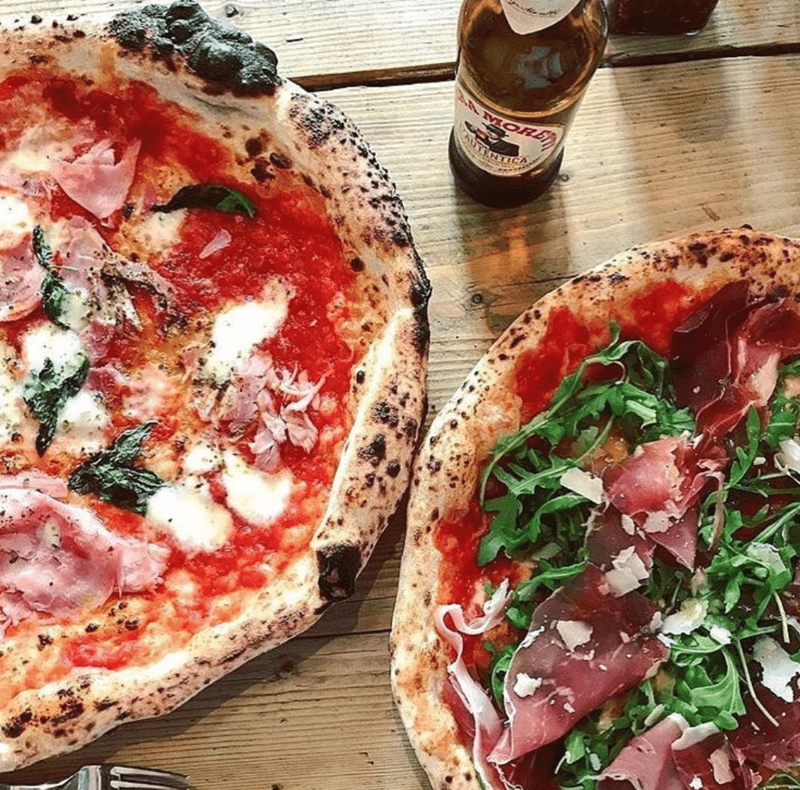 They have four small locations around the capital and have been voted the best pizza in London not once, but twice . Their happy returning customers tell you all you need to know. Check out the most Instagrammable spots in London. They make their own dough to be incredibly light and airy, so much so that it could lift up and float away from the table at any moment. 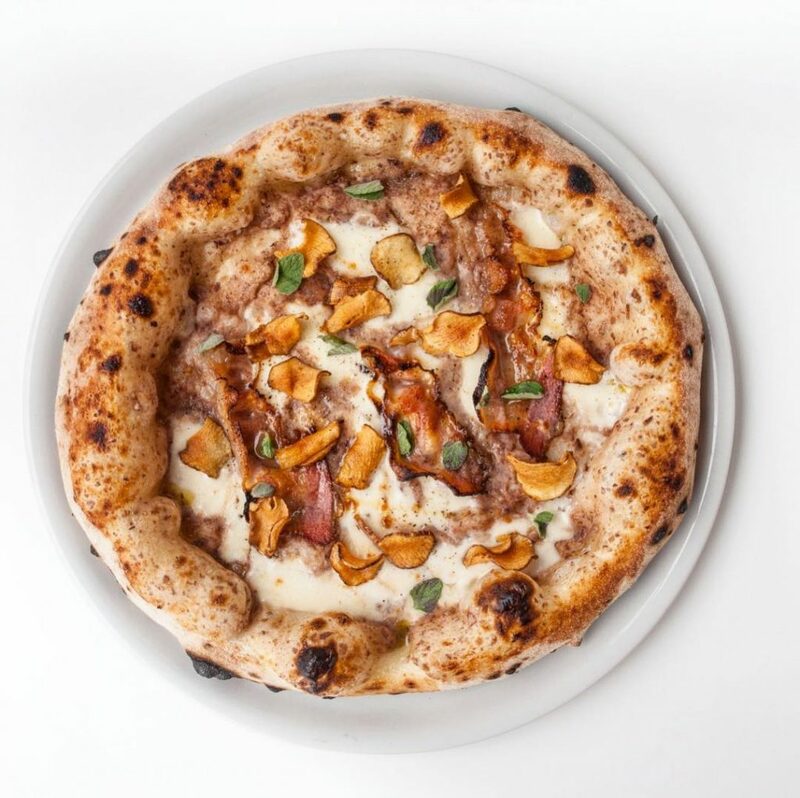 Their toppings are original, unique and exciting and terrific service and gorgeous room are just the cherry on top. Check out the most Instagrammable spots in Amsterdam. 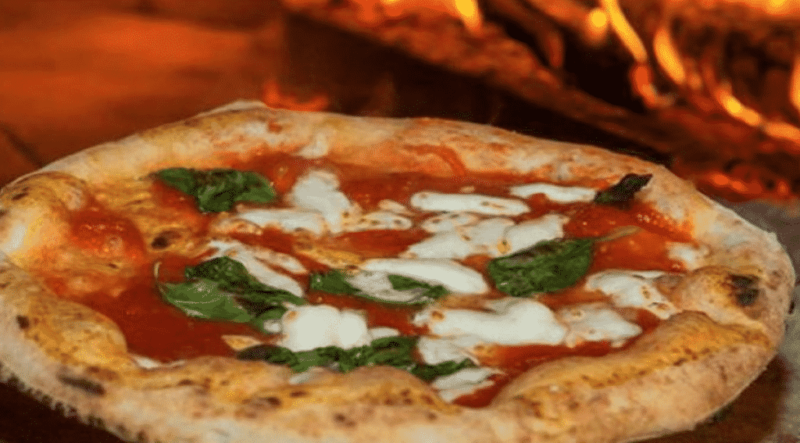 The perfect place to come with a group of friends to start a night out and eat some of the most tasty and authentic pizza you’ll find outside Italy. 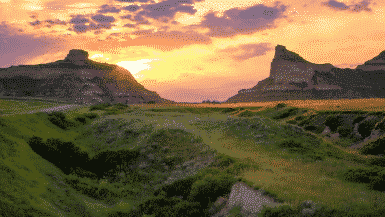 Get the drinks flowing and sit back and enjoy a truly special place. Check out the most Instagrammable spots in Sofia. 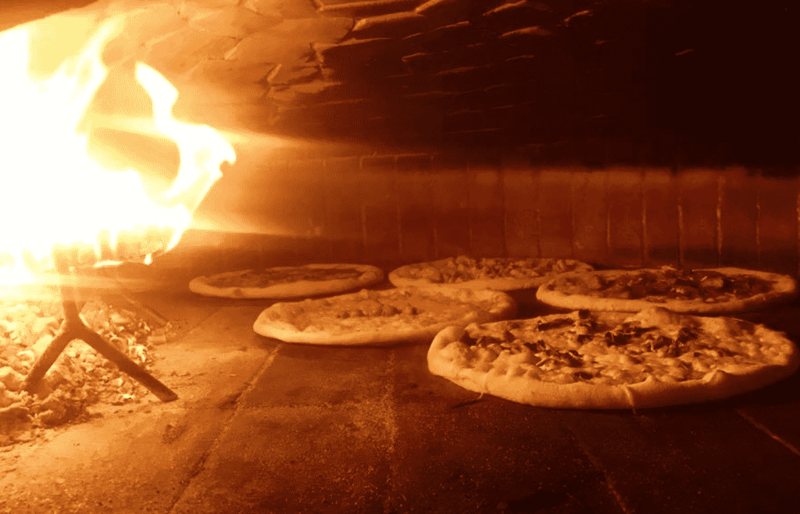 Super crispy pizza cooked in a wood fired oven all within a couple of minutes. The end result is light, crunchy and perfectly salty and soft in the middle. Add some of their wonderful chilli oil for an extra treat. 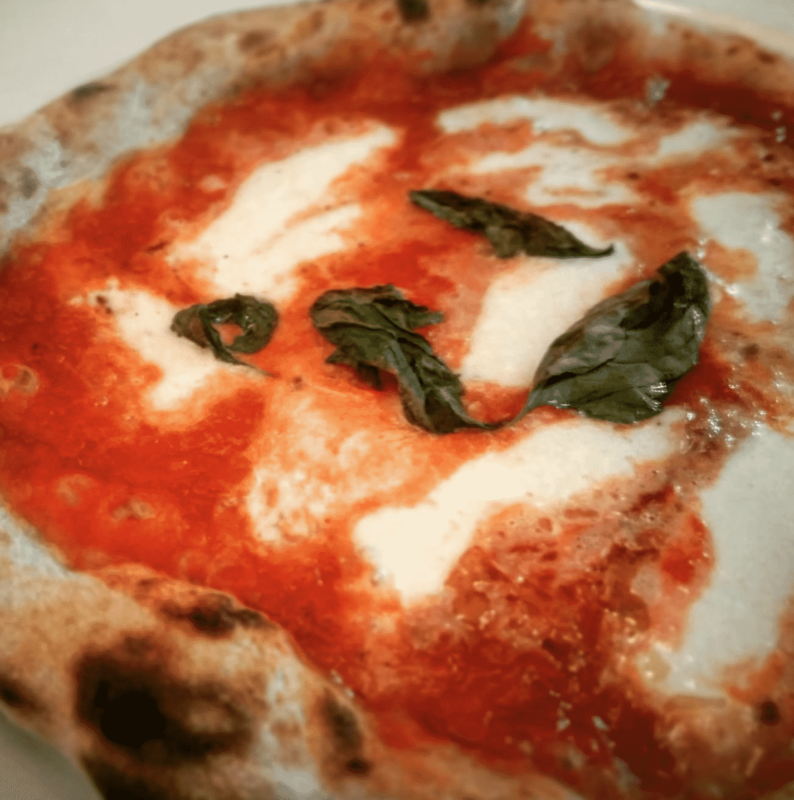 Their chef Marcello D’Erasmo is the world champion of Pizza Napoletana STG (Guaranteed Traditional Specialty) and has won multiple awards at home and abroad. Safe to say you are in good hands here. Check out the most Instagrammable spots in Florence. 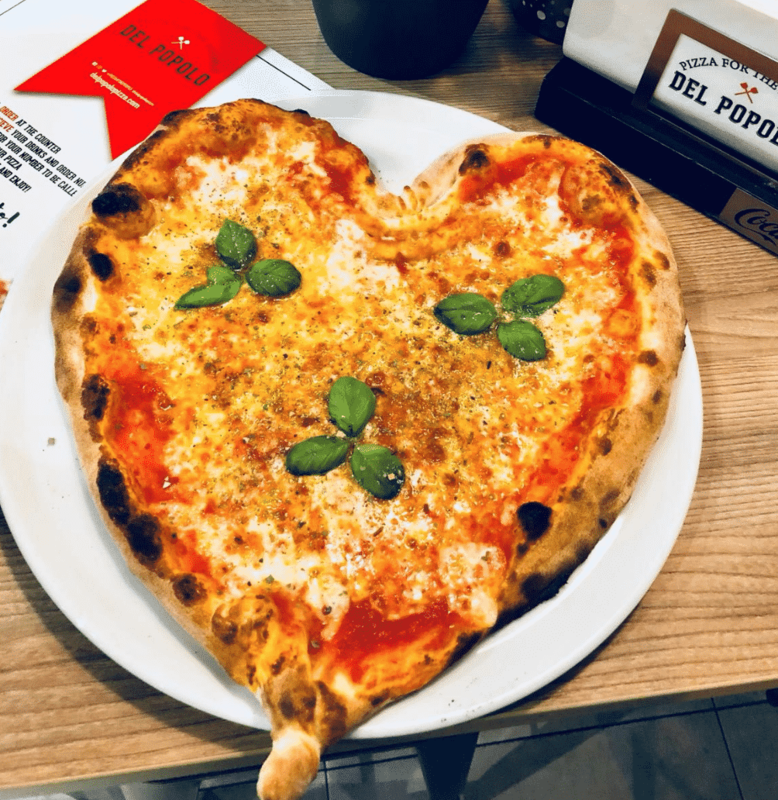 Pizzeria Rustika is constantly winning awards and you only have to talk to their passionate customers and read online reviews to see it’ll be a long time before you see somebody leaving here unhappy. 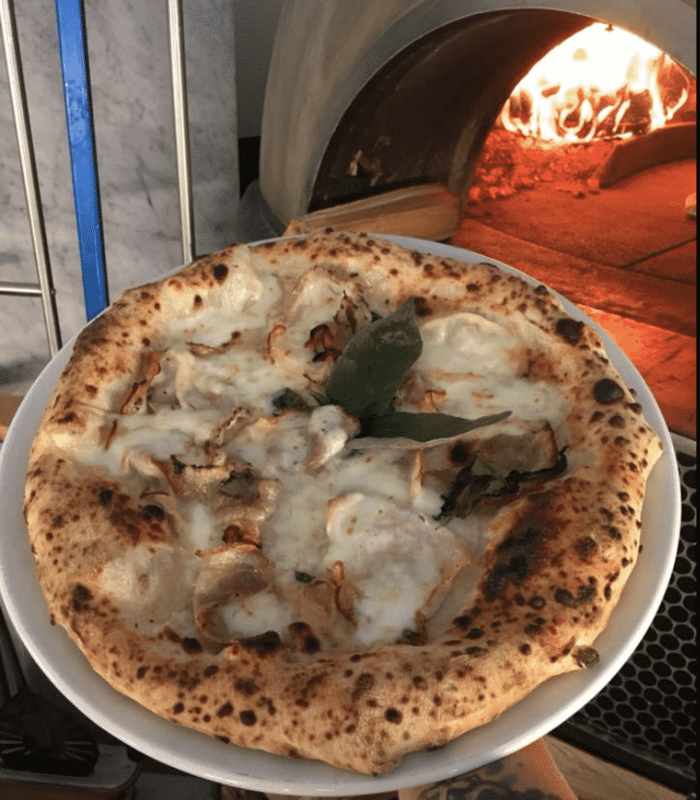 As good a wood fired pizza as you’ll find in the country. 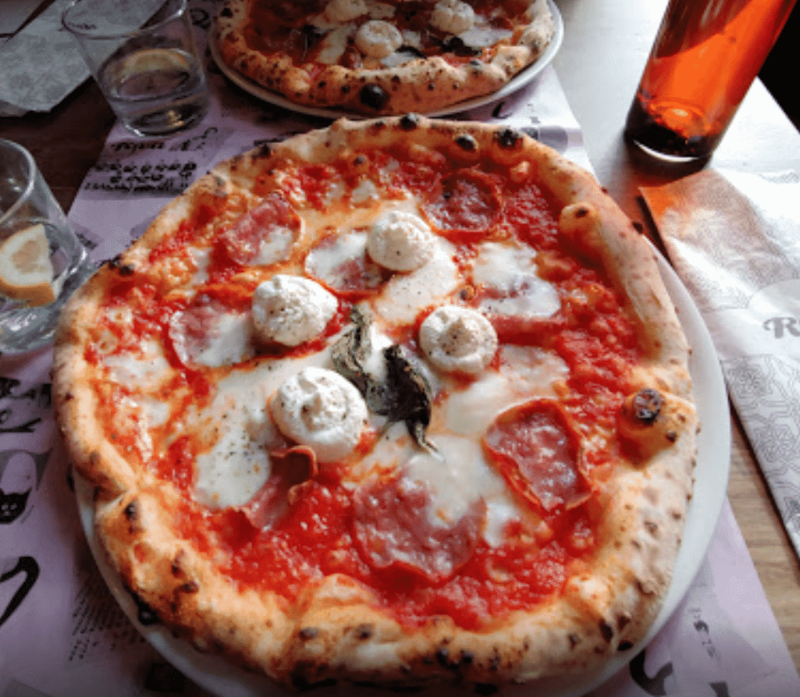 You’ll find La Perla in what is quickly becoming known as the “little Italy” of Amsterdam. 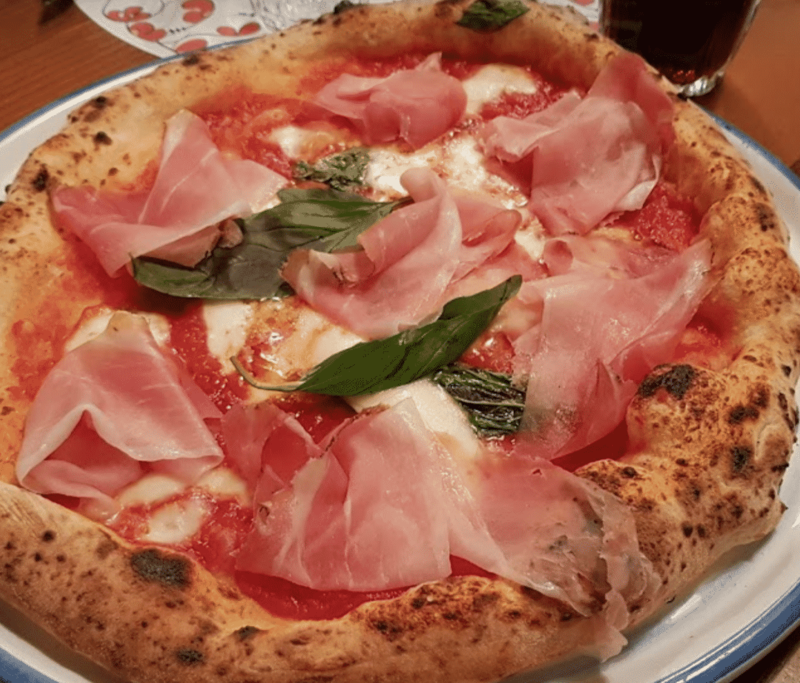 Their pizzas are topped with wonderfully fresh and high end cured meats, most of which come directly imported from Italy. Utterly delicious. A small room (get here early as it always get busy) that serves up incredibly tasty pizza. The smell wafts across the room as soon as you open the door and it tastes every bit as good as it initially smells. Check out the most Instagrammable spots in Vienna. 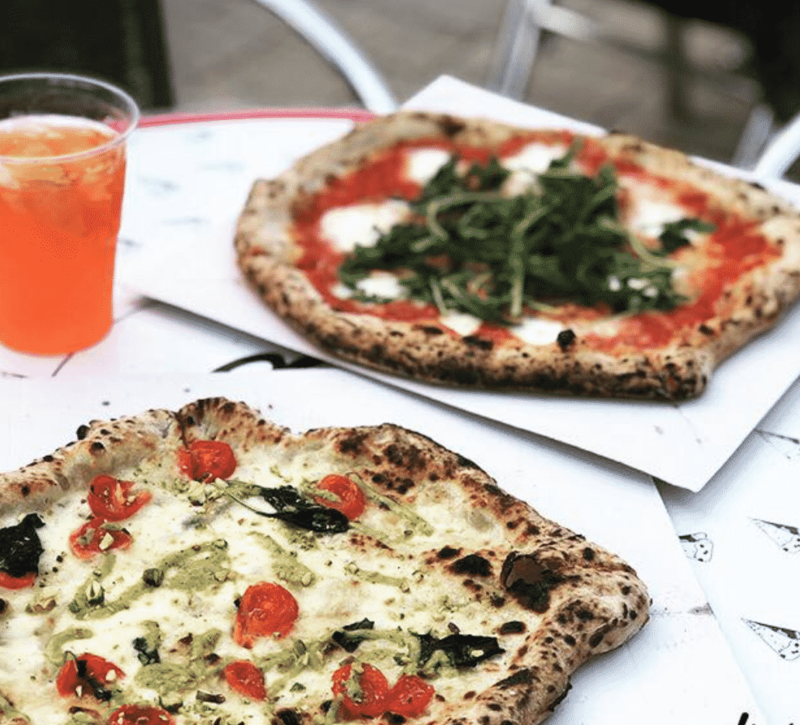 They serve slow-proved Neapolitan pizza in both of their London pizzerias, plus if you are really lucky you’ll catch them out and about at events serving piping hot pies to happy punters. 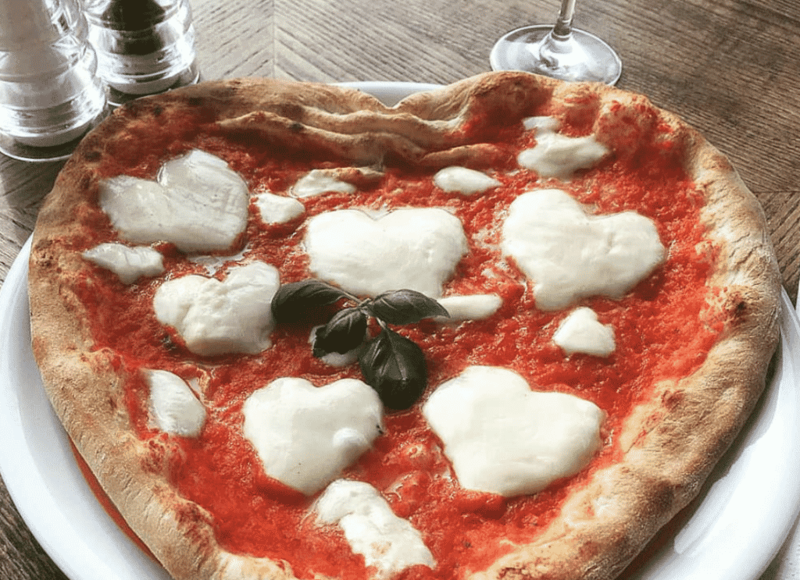 A small, quirky restaurant that features a cute terrace that is a surprising yet wonderful place to eat pizza and have a glass of red wine. The key here is that the standard never dips; every single pizza is as wonderfully glorious as the last. Check out the most Instagrammable spots in Stockholm when in the country. 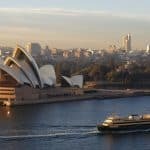 In a city that has set the standards across the world for so long, it can be hard to choose local winners. 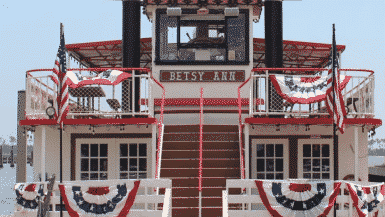 The fact that they have been in business for over half a century and that their customers are still as passionate and plentiful as ever tells you everything you need to know. Simply world class. Check out the most Instagrammable spots in Naples. This wonderful casual spot gives you pizza that is restaurant standard cooked at 400 degrees but right in front of you while you wait. It’s the sort of place that once you know about you simply won’t be able to walk past again without popping in. Check out the most Instagrammable spots in Belgium. 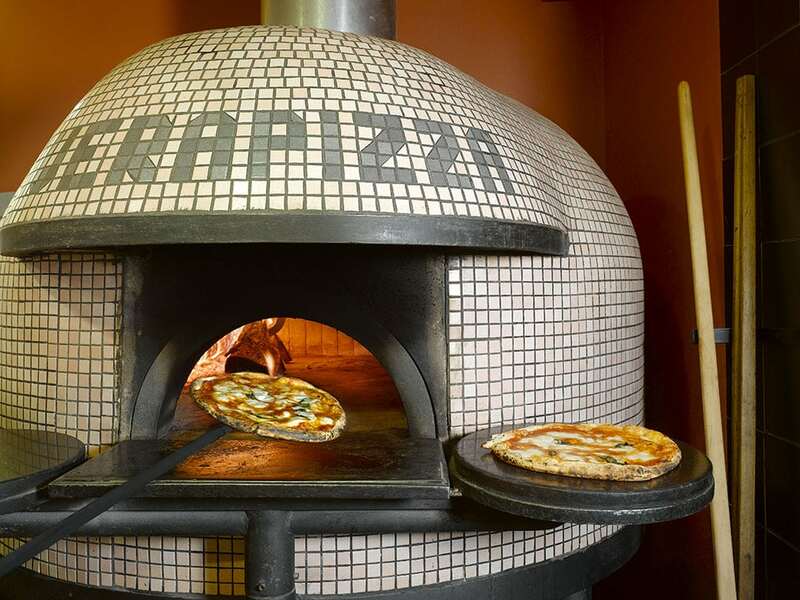 Cooked in artisan built wood fired ovens brought over from Naples, their Pizzaiolos take pride in making all pies to pizza Napoletana standard. 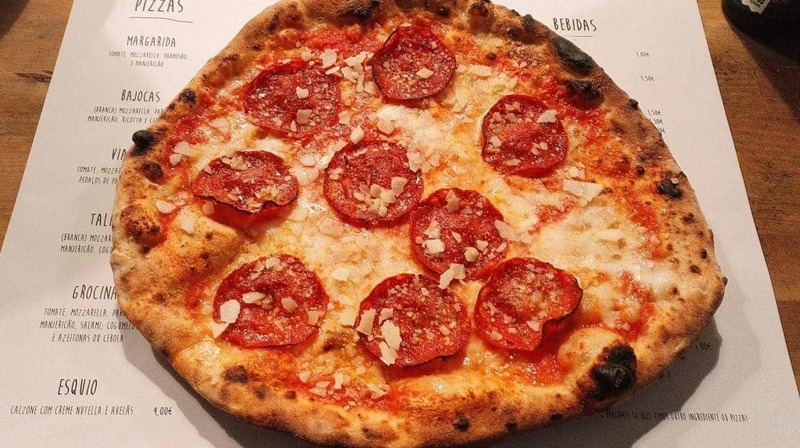 Their pizza dough is a hybrid yeast and sourdough, proofed for over 48 hours which tastes absolutely fantastic. Check out the most Instagrammable spots in Glasgow. 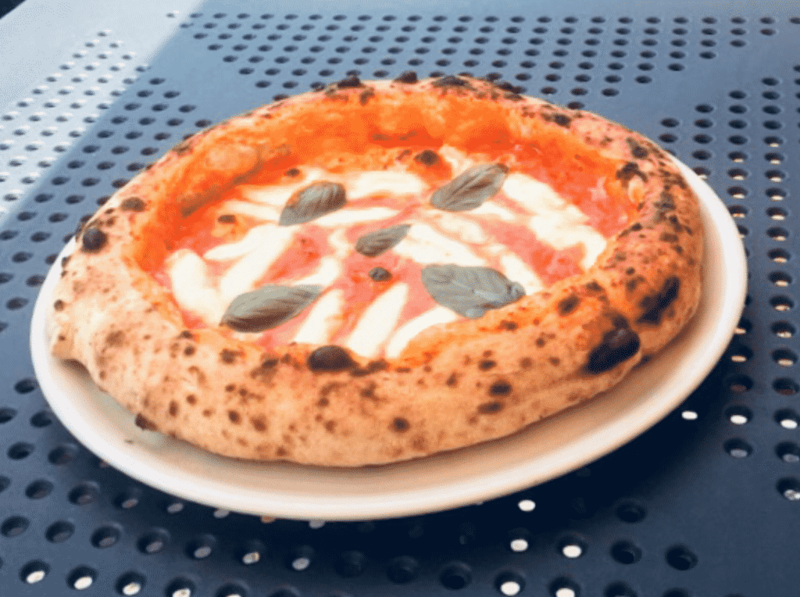 Gazzo is a sourdough craft-pizza restaurant in Neukölln who believe in sourcing artisanal produce – local when available, but always delicious, sustainable and natural. The end result is a unique blend of German precision with Italian flair. An absolute joy of a restaurant. 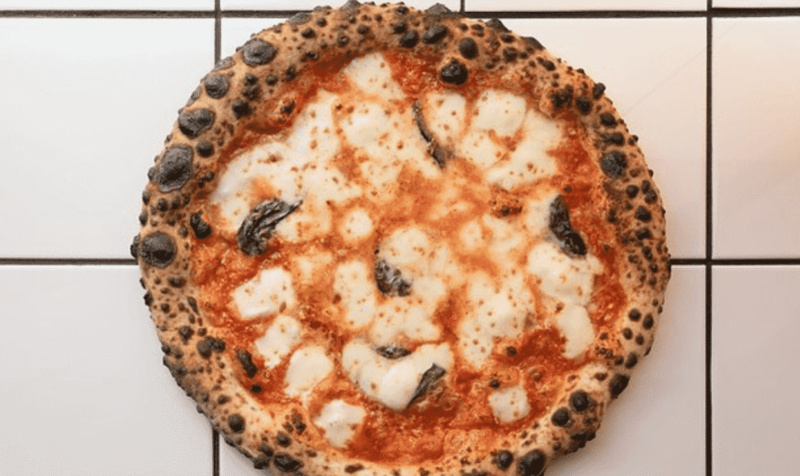 They call themselves “wood fired pizza fundamentalists” and judging by how wildly popular this restaurant has been since opening you can see people voting with their feet. A buzzy room, some great craft beer and a pizza that tastes as if it landed from another planet in terms of flavour. The French are among the best chefs in the world and although they can’t claim to have invented the pizza, they do add some amazing touches to the traditional dish. 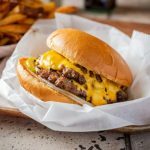 Nowhere more so than in Louie Louie with their imaginative and fresh toppings, with amazing ingredients at the core of what they do. 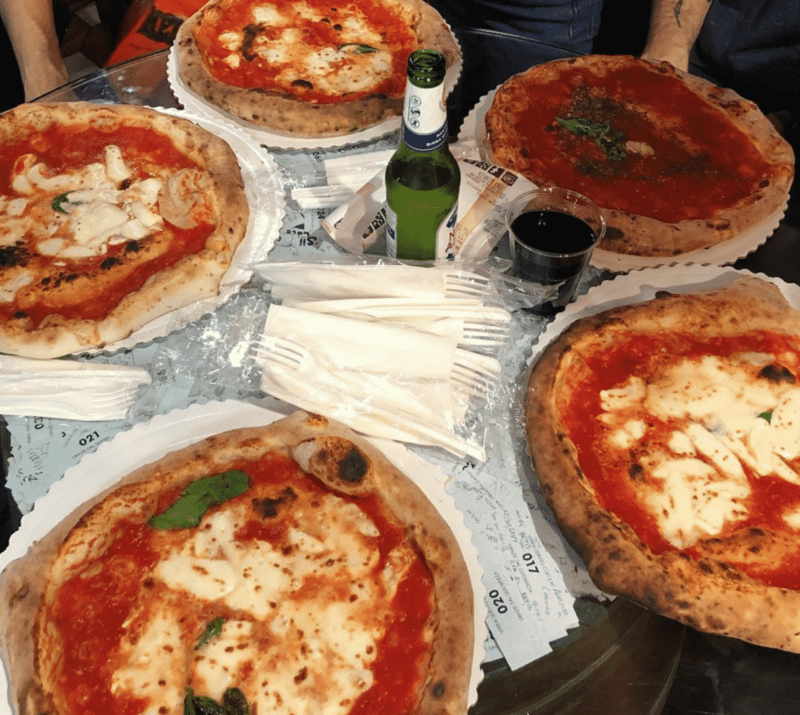 With so many great pizzas to choose from in Italy, it can be hard to know where to start. Our suggestion is to start right here in Florence. Take the pizza to go in a box and sit along the river people watching and admiring this wonderful city while eating one of the best pizzas in Europe. A stripped back room that is always absolutely buzzing at both lunch time and in the evenings. They have single-handedly been responsible for setting a whole new standard for pizza in Romania. Check out the most Instagrammable spots in Bucharest. 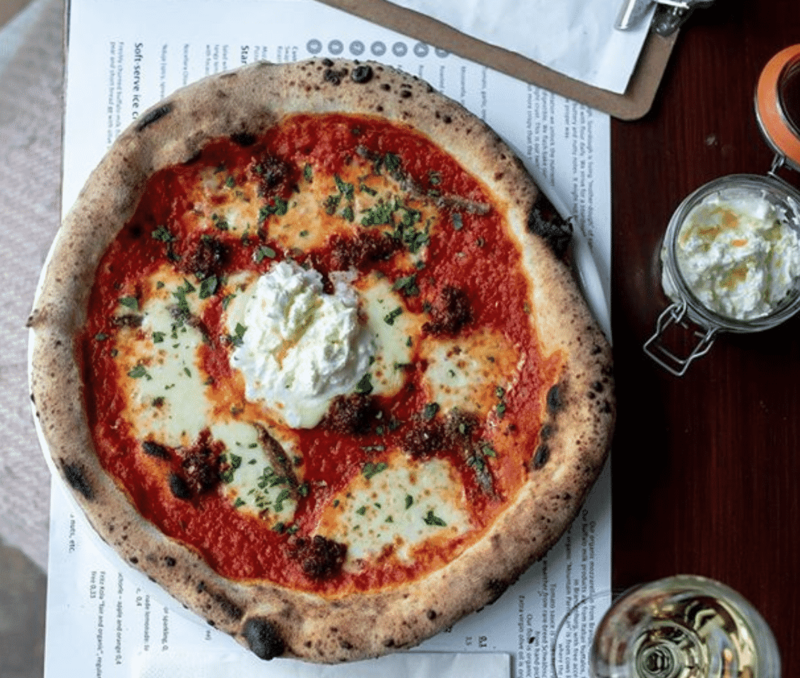 Many regard Rudy’s Pizza as the best pizza in England: talk to serious pizza connoisseurs and they’ll tell you it’s as good as anything you’ll ever taste. They’ve moved onto their second premises in Manchester on Peter Street and also expanded to Liverpool. None of the quality is lost as they grow, which is a real testimony to their excellence. Check out the most Instagrammable spots in Manchester. 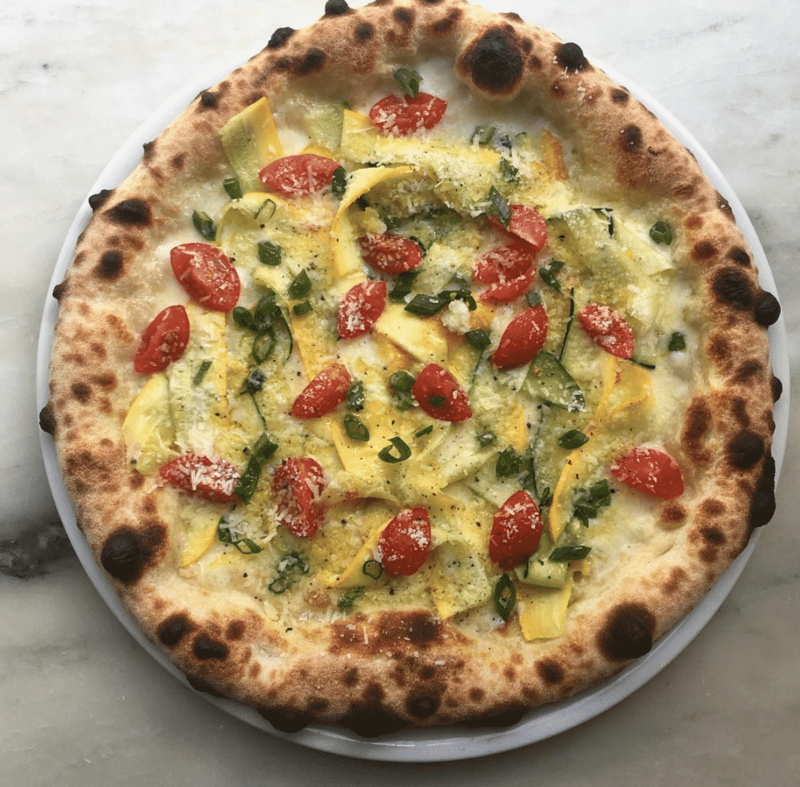 You know it’s the real deal here because they have their own farm that has a focus on organic meats & high quality produce as well as their own salumeria and micro-dairy – instead of importing mozzarella, they make it themselves with the best raw milk. This place is taking pizzas to whole new levels. Check out the 7 most Instagrammable spots in Naples. Talk to anybody who has been here or read the reviews and you’ll see plenty of people calling it the best pizza they’ve eaten in their lives. 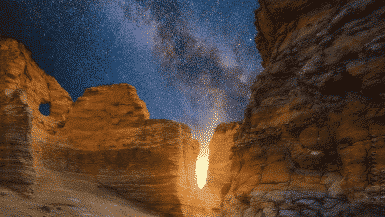 The queues are always long, but the atmosphere among fellow customers waiting is buzzing, because everybody knows this is close to a religious experience. If you thought you were happy waiting you should see how happy you are leaving. In Berlin, Zola, Stranero and Standard are the top 3 but I only see Zola and in your list. Gazzo? Really? 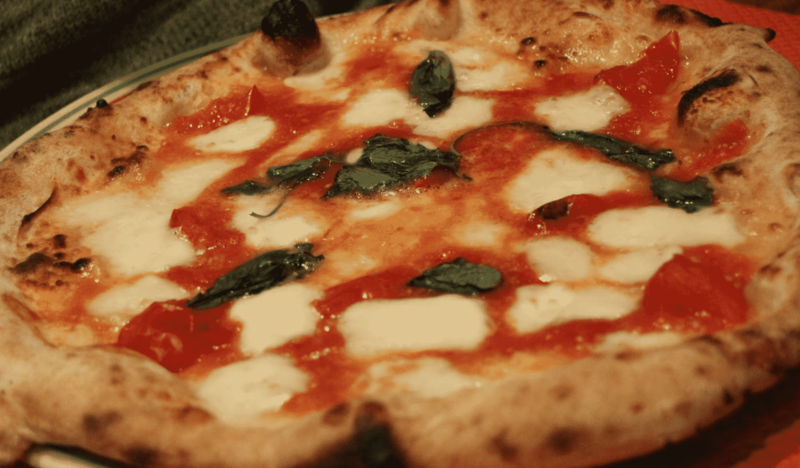 Why would you include a Pizzeria which opened a few months ago as one of the best in Europe? I think you guys didn’t do your research properly. 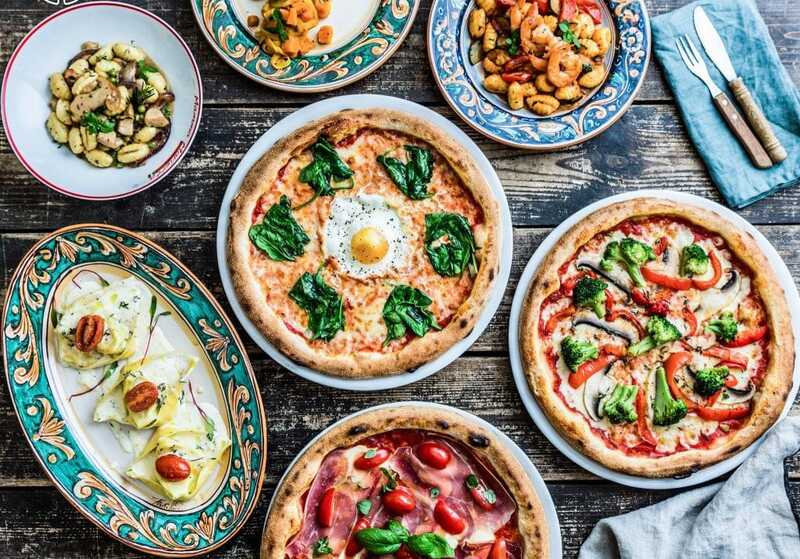 As Italian, living in Belgium, I must say that the ones listed here looks like the bad pizzas (expecially the 10th), and you can say that by just looking at them (on google and tripadvisor photos), the pizza are not at all authentic Italian and probably bad taste and difficult to digest. If I would be you, I would completely remove the 10th. Come on, they do pizza with egg on top? What is that? Pizza carbonara? Where is Stranero from Berlin? They definately offer the best Pizza in town… what kind of list is this? 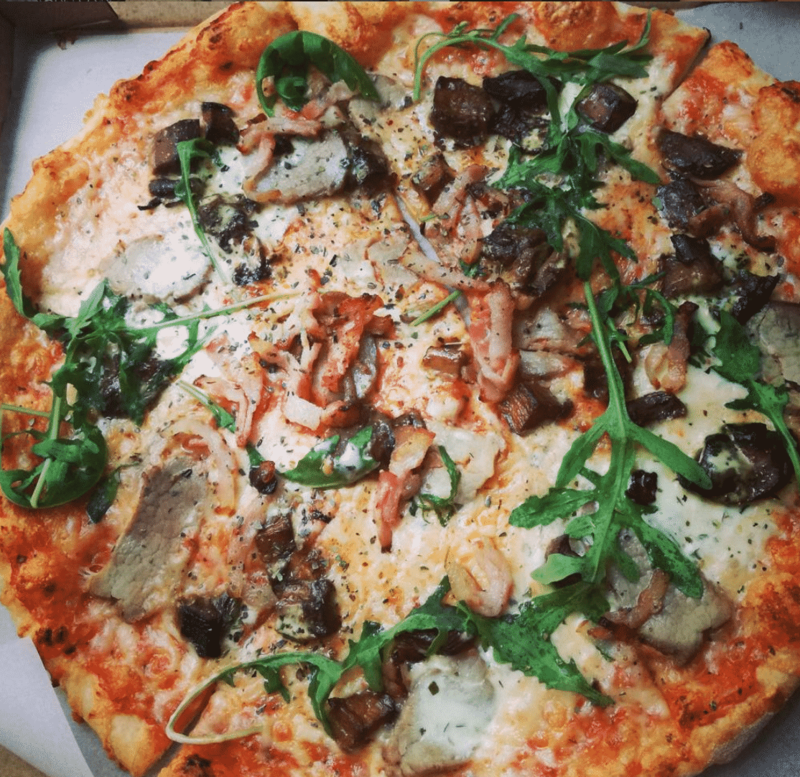 The best pizza I’ve ever eaten is definitely from the most boring town of England – Milton Keynes. Made in Sud pizzeria kept me alive while living there.